If you get a DUI, you may wind up in the news. PORTAGE, Wis. (AP) — Authorities in southern Wisconsin say a 56-year-old Cambria man arrested on suspicion of his 8th OWI offense tried to drink in front of a deputy. According to the Columbia County Sheriff’s Office, a vehicle was reported in a ditch in the Town of Fountain Prairie Saturday night. The caller reported the driver wasn’t hurt, but “something wasn’t right with the driver.” The caller gave the man a ride home. When a deputy arrived, the man had returned in another car. When the man was told he would be arrested, authorities say he tried to grab an open liquor bottle from the vehicle and drink from it. TROY — Detective Sgt. Randall French took the stand this past week in a Rensselaer County Court animal abuse criminal trial to find his 2016 fatal shooting of a DWI suspect overshadows his credibility as a prosecution witness. Since former Rensselaer County District Attorney Joel E. Abelove rushed a grand jury presentation within four days of French shooting Edson Thevenin during a DWI traffic stop on April 17, 2016, the nearly 16-year Troy Police Department veteran has seen his career impacted by the eight bullets he fired that morning. French has been passed over twice for promotion to captain despite his ranking first on the civil service list. He also faces a multi-million-dollar federal lawsuit filed by Thevenin’s widow. And his motives in conducting investigations are open to cross-examination when he is a prosecution witness, as the animal cruelty case demonstrates. It’s a situation that could grow more intense now that French commands the city’s reorganized drug unit. “It’s unfortunate that Randy is in this position because of politics,” said Officer Nick Laviano, president of the Troy Police Benevolent Association. He believes the former district attorney’s handling of the Thevenin case was warped by an effort to forestall the state taking over the probe. “Joel Abelove wanted to flex his muscles to Andrew Cuomo,” Laviano said. Laurie Shanks, a criminal defense attorney and Albany Law School professor emerita, said French will be haunted by the way Abelove handled the shooting for the rest of his time in law enforcement. Abelove did a disservice to Thevenin’s family and the citizens of Troy as well as French for not having the case thoroughly and properly examined, Shanks said. Abelove could not be reached for comment. In December 2017, the district attorney was indicted by a county grand jury for his handling of the shooting, but the case brought by the state attorney general was dismissed last June by a judge who said the state had exceeded its authority. The investigation of Thevenin’s death was complicated by the ongoing tug of war between Cuomo and county district attorneys over the governor’s executive order empowering the attorney general to probe the deaths of unarmed civilians during encounters with police. It was in that context that Abelove quickly presented the Thevenin case to a county grand jury. French was not asked to waive his immunity when he testified before the grand jury investigating his shooting of Thevenin. That alone meant he couldn’t be charged in the case. Last week, it was French’s far less consequential investigation of the fatal injuries to a small 13-year-old dog named Mya over Thanksgiving 2017 that opened him up to cross-examination by William Roberts, defense attorney for Gloria Carmona, the home health aide and mother of two who was charged in the case. “This case was toxic because it was tainted by Randy, a toxic police officer,” Roberts told the jury of six men and six women in Rensselaer County Court. Judge Jennifer Sober ruled Thursday that Roberts could question French about aspects of the federal civil lawsuit filed by Thevenin’s widow as he attempted to impeach the detective’s credibility, especially on the statement he wrote describing his December 2017 interview of Carmona. Roberts also questioned him about aspects of the attorney general’s report on his fatal shooting of Thevenin. Assistant District Attorney Nick Dorando was able to stop part of Roberts’ attempt to question French, but in his closing argument had to remind the jury that French was not on trial. Mayor Patrick Madden has attacked the attorney general’s report on the shooting investigation as factually inaccurate, though he has never explained his reasons for taking that stance. Last week, a spokesman said the mayor had no comment due to the pending litigation in U.S. District Court in Albany. The city is a co-defendant with French in the lawsuit. On Thursday, French testified he had not paid attention to either the federal lawsuit or the attorney general’s findings. When Roberts asked about testimony from three civilian witnesses in the shooting, French said he was not aware of their accounts. “It is incredible that he is taking it lightly,” Shanks said. She thinks it’s hard to believe that French would not have paid attention to the attorney general’s investigation, as it occurred at the time that he faced the possibility of being indicted in Thevenin’s death. French testified that he felt he shouldn’t have been passed over for promotion. The PBA has sued the city over failing to promote French and two other sergeants. The city Civil Service Commission is expected to approve a new captain promotional list Tuesday. French, a Rensselaer Polytechnic Institute graduate with a degree in applied mathematics, is expected to be at the top of the list again. Roberts quizzed French on whether he “fabricated and disseminated false accounts” regarding the Thevenin shooting. French said he never did that. Outside court after his testimony, French declined to comment on the case and his professional situation. The only extensive remarks from French about the fatal shooting come in his deposition, quoted by the city of Troy and his attorneys in a Feb. 28 motion to dismiss the federal litigation. In that document, French extensively describes the initial traffic stop of Thevenin, then the pursuit when Thevenin drove off. Once Thevenin was stopped again, French said he squeezed out of his patrol vehicle and his leg became pinned between his vehicle and Thevenin’s car. Thevenin’s vehicle was revving its engine and pinned him, according to French’s testimony. “I was afraid I was going to die,” French testified about his reason for firing at Thevenin. French said he attempted to reload but couldn’t reach his reserve magazine because he was pinned. Other officers arriving at the scene testified they heard French yelling “stop” and that he was pinned. The PBA’s Laviano called him an “excellent officer.” The PBA awarded French its Silver Shield award in 2018 for his actions in the Thevenin traffic stop. French recently was given command of the Special Operations Section, as the reorganized drug unit is now called. French bid for the position under the PBA contract and was given the position based on seniority. The drug unit was disbanded after its members conducted an illegal warrantless search in June 2017. Two detectives assigned to the unit pleaded guilty in the case. With French in command, a defense attorney will be able to question the truthfulness of the officers he commands, Shanks said. On Friday, the jury acquitted Carmona of felony cruelty to animals and misdemeanor animal abuse. Two jurors, who declined to be identified, said they could not rely on the statement French took from Carmona. They also said the detective sergeant didn’t conduct a thorough investigation, resulting in a lack of evidence. A WWE Hall of Fame wrestler is behind bars in Carbon County for violating parole on multiple DUI convictions. Tamara Sytch, known as Sunny during her WWE career, pleaded guilty to three separate counts of DUI in Carbon County Court in 2016. She was sentenced to five years maximum, but got immediate parole because she sought rehab. This week she was extradited from New Jersey for violating parole in one of her DUI arrests. It is the second time she has been jailed here for violating parole. She served eight months in Carbon County Correctional Facility last year. Sytch reportedly violated her parole when she was arrested for DUI in New Jersey on Feb. 26. According to TMZ.com, Sytch was arrested after a traffic stop where an officer found her with an open container of alcohol. She was also driving with a suspended license. She was extradited to Carbon County for violating terms of her probation from the three DUIs she pleaded guilty to in 2016. According to an order from Carbon County Adult Probation, Sytch missed a scheduled drug test on Feb. 11. The terms of Sytch’s probation from her DUI arrests included zero tolerance for missed urine screens. Adult probation said Sytch does not have a stable residence and failed to report her whereabouts. Sytch pleaded guilty to three separate DUI charges in Carbon County Court in 2016. Officially the judge in the case sentenced her to a maximum of five years in jail. However, she received credit for 95 days in rehab and got immediate parole. The terms of her sentence also included $2,100 in fines, a two-and-a-half year license suspension, 125 hours of community service, zero tolerance for drug and alcohol use, and court fees. The first arrest occurred May 30, 2015, on Route 443 in Mahoning Township. Two days later, she was stopped by police for crossing the double line on Route 209, and officers found an open bottle of beer. The third arrest occurred after a crash in Towamensing Township on June 20, 2015. WALLINGFORD, CT (WFSB) – A father was arrested for drunk driving on Saturday after his three children called the cops on him. Police said they received a call just after 7:30 p.m. at the Pit Stop Gas Station on Woodhouse Avenue. One of the children called 911 to report that her and her two younger siblings were dropped off on the side of the road by their father who was drunk. When officers arrived, they found the children shivering, crying and scared. The children told police their father, John Sweeney, had been drinking at a St. Patrick’s Day party. The kids asked another person to drive them home, but Sweeney insisted on driving them. According to police, the children said they asked him to pull over due to his drunk driving. The children walked about one mile to the gas station where they called 911. Officers found Sweeney on North Street where he was charged with three counts of risk of injury to a minor and DUI. He was released on a $10,000 bond and will appear in court on March 29. Pennsylvania State Police acted recklessly when troopers used a bulldozer to pursue a Grateful Dead fan caught growing marijuana on public land, killing him when he wound up under the machine’s treads, according to a civil rights lawsuit filed Monday. Greg Longenecker’s family said state police had no business chasing him with a dangerous piece of machinery — especially over a few pot plants the 51-year-old was cultivating for personal use. His death last July, in a rural area about 75 miles (121 kilometers) outside of Philadelphia, also provoked outrage from a marijuana advocacy group. State police declined comment. A prosecutor who investigated Longenecker’s death concluded that troopers acted reasonably. The chase developed as Longenecker — a short-order cook and avid vegetable gardener with a passion for the Dead — and his friend, David B. Light, tended 10 marijuana plants in a small clearing on state game lands near Reading, Pennsylvania. A Pennsylvania Game Commission worker, operating a bulldozer in the area, spotted their car parked in a field where vehicles weren’t allowed and called police. Light surrendered, but Longenecker fled, disappearing into the thick vegetation. State police began a lengthy search. A state police helicopter spotted Longenecker in the underbrush, and the game commission worker, with a trooper aboard, used the bulldozer to blaze a trail in pursuit. The bulldozer was traveling no more than 1 (1.6 kph) or 2 mph (3 kph), according to an official account. How Longenecker got caught in the machine’s treads is hotly disputed. Authorities concluded he was high on methamphetamine, crawled under the back of the bulldozer in an attempt to elude capture, and was crushed to death when it made a left turn. Longenecker’s friends and family call that explanation ludicrous. Light, 55, pleaded guilty to misdemeanor drug charges and was accepted into a program for first-time offenders. He declined comment to the AP. Longenecker’s family questioned why state police didn’t simply get a warrant for Longenecker and arrest him later, given they knew his identity and that his crime was relatively minor. An expert in police procedure agreed the state police overreacted. Berks County District Attorney John Adams — the prosecutor who determined that state police acted appropriately — pushed back against the criticism, saying Longenecker put himself in jeopardy by fleeing from the authorities. Longenecker likely would have faced probation over his marijuana plants, Adams said. He said Longenecker’s family would have been just as angry had troopers abandoned the search, and it turned out that Longenecker was injured and in need of medical attention. “He’s in a pile of brush that is completely uninhabitable. Something could have happened to him. And if the state police would have picked up and left, then they would be pissed off: ‘Why didn’t the state police try to find him?’ So they were damned if they did or damned if they didn’t,” he said. Columbus police on Wednesday released dashcam video of officers stopping a woman driving a car the wrong way early Tuesday morning on Route 315 on the Northwest Side, averting a potential crash. Deja Marie Moore, 26, of Worthington, was charged with operating a vehicle while impaired, Columbus police said. The woman was spotted just after 1 a.m. driving the sedan north in the southbound lane of Route 315 near Henderson Road. The dashcam video from a Columbus police freeway officer who used his vehicle and the median to help block her forward movement shows that there are cars that have pulled over to the side and the woman driving the sedan is swerving. She even can be seen talking on a cell phone. The woman attempts to maneuver around the front block, but a Columbus police van then pulls next to her on the driver’s side to box her in. FAIRFIELD, CT — A Fairfield woman was arrested after police say she was operating under the influence when she crashed into a flower shop Sunday night in Fairfield. At about 6:45 p.m. on Jan.20, police responded to a report of a possibly intoxicated woman at Cumberland Farms on Post Road, according to Capt. Robert Kalamaras. Kalamaras said that before patrols arrived in the area, the woman left the parking lot and crashed her vehicle into the building at Hansen’s Flower Shop, located at 1040 Post Road in Fairfield. Katherine Kriewald, 39, of Fairfield, was arrested and charged with DUI, failure to maintain proper lane, and illegal storage of a narcotic after officers located oxycodone in her purse, according to Kalamaras. A drug recognition officer responded to evaluate Kriewald, according to Kalamaras. FAYETTEVILLE, N.C. (Tribune News Service) — A Fort Bragg soldier is dead and a Sanford woman has been charged with driving while impaired following a crash Sunday on Yadkin Road involving a motorcycle and a sedan, according to the Fayetteville Police Department and Fort Bragg officials. Fort Bragg officials identified the operator of the motorcycle as Spc. Patrick A. McDill, 22. McDill died Sunday at Cape Fear Valley Medical Center from injuries he suffered in the crash. He was assigned to 2nd Battalion, 504th Parachute Infantry Regiment, 1st Brigade Combat Team, 82nd Airborne Division. Jasmyne D. Russell-Dicker, 24, of Sanford, has been charged with driving while impaired and unsafe movement causing injury to a motorcyclist, according to a news release. She was processed at the Cumberland County Detention Center and was released on a $5,000 unsecured bond. The crash occurred about 3:11 a.m. on Yadkin Road near Horseshoe Road, police said. Russell-Dicker was driving a 2017 Toyota Corolla. McDill joined the Army in June 2015. He completed Basic Combat Training at Fort Benning, Ga.;, before transitioning to Fort Bragg in August 2016. McDill’s awards and decorations include the Army Commendation Medal, the Army Achievement Medal, the National Defense Service Medal, the Afghanistan Campaign Medal, the Global War on Terrorism Service Medal, the Army Service Ribbon and the NATO medal. Of the 54 drivers involved in fatal alcohol-related crashes in Iowa in 2016, 43 percent of them were repeat drunk driving offenders. Since 2005, more than 134,000 people have been charged with drunken driving. 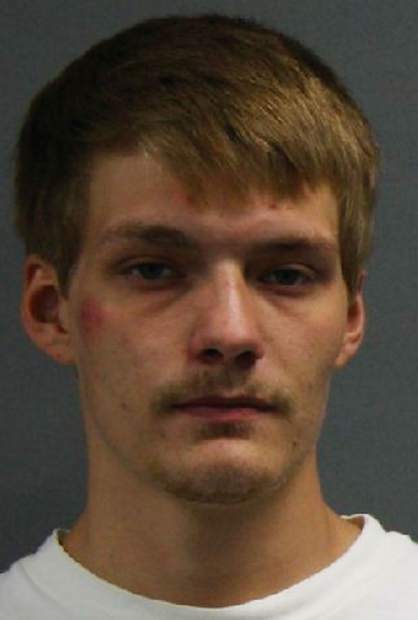 Authorities believe a 24-year-old Des Moines man barred from driving was drunk while speeding with multiple children in his car. Trevar N. Rippey has been charged with operating while intoxicated, first offense; driving while barred as a habitual offender; and four counts of child endangerment. He was pulled over while driving on Interstate 235 in Des Moines at 10:42 p.m. Tuesday by an Iowa State Patrol trooper. 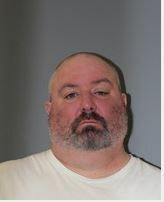 The trooper caught Rippey going 68 mph in a 55 mph zone near Exit 8B for East Village, according to a criminal complaint. Rippey, who reported living in the 2900 block of Rutland Avenue, had watery eyes and was slow to answer the trooper’s questions, court records show. The trooper also noticed an alcohol odor coming from the vehicle. During a field sobriety test, Rippey showed “6 out of 6 clues” for intoxication, according to court documents. He refused to give a breath sample during the field test at the scene of the arrest and again after being taken into custody. A probation officer for Rippey, who has a slew of misdemeanor guilty pleas in Polk County on his record, wrote in a court document Wednesday that he should lose his probation. Rippey has managed to avoid prison despite child endangerment, domestic abuse and multiple driving while barred charges. 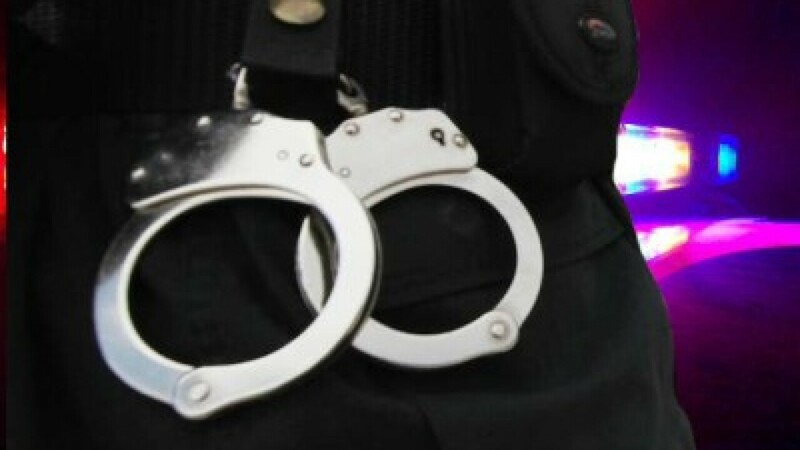 “This officer is recommending that as a result of the above allegations, the Court revoke the Defendant’s probation due to the (Defendant) continuing to put the public as well as children in danger,” probation officer Austin Sabin wrote. Since 2012, Rippey has more than 25 entries in Iowa Court Online for state and city traffic offenses. He also has a history of driving while barred and child endangerment charges. Des Moines police say Rippey was smoking marijuana April 2, 2018 in the 1500 block of Clark Street with two of his small children in the car. Police found a baggy and half-smoked “marijuana cigarette” in the Pontiac G6 he was driving. He was given a suspended two-year prison sentence for each of his two counts of child endangerment and a suspended one-year prison sentence for possession of marijuana. About two years earlier, in 2016, he pleaded guilty to driving while barred and possession of marijuana and was given a three-year suspended prison sentence. Months after being caught driving while barred, he was accused of repeatedly kicking the car door of the mother of his children, court records show. He was given a suspended one-year jail sentence for fourth-degree criminal mischief. Nathan Finnegan, 22, is accused of assaulting a Breckenridge Police Officer during the early morning hours of July 21, 2018. Friday was the final day of evidence presentation at the Nathan Finnegan trial at the Summit County Justice Center in Breckenridge. The case has been handed over to the jury, which will decide the fate of the 22-year-old Minnesota native. Finnegan, who is accused of assaulting Breckenridge police Officer Jennifer Kruse after driving while intoxicated and crashing his vehicle in July 2018, has been charged with first- and second-degree assault, criminal mischief, resisting arrest, driving under the influence, careless driving, two counts of violence and lesser charges of public property damage. Chief Judge Mark Thompson presided over the courtroom. District Attorney Bruce Brown and deputy DA Stephanie Cava presented evidence for the state while Dillon-based attorneys Kevin Jensen and Everett Pritchard conducted Finnegan’s defense. The day began with the defense introducing their final witness, nurse Jennifer Bustillos, who had tended to Finnegan the day he was booked into the Summit County Jail. The defense used Bustillos’ testimony to try to establish that Finnegan had a head injury that might have disoriented him, removing the possibility he had the state of mind and intent required for a first- or second-degree assault charge. The defense established Bustillos as an expert in evaluating head injuries. Bustillos then testified that she evaluated Finnegan after he was initially treated at St. Anthony Summit Medical Center and booked at the jail. Bustillos recalled that Finnegan complained of headaches, spots in his eyes, as well as hearing and light sensitivity when she evaluated him. Coupled with his medical charts from St. Anthony Summit Medical Center showing that Finnegan had been put into a medically-induced coma, Bustillos concluded that he had suffered a head injury. She said she gave Finnegan instructions to lie down with a shirt over his eyes along with earplugs to dampen the hearing and light-sensitivity issues, as well as providing typical counseling she would give to someone who had suffered a head injury. The prosecution disputed the notion that Finnegan had suffered a head injury while attempting to throw Bustillos’ credibility into doubt. In her cross-examination, Cava got Bustillos to admit that she did not write down any of the head injury symptoms in her evaluation notes. Cava also got Bustillos to confirm that St. Anthony Summit did not diagnose Finnegan with a head injury when he was initially treated there, and that a CT scan came out negative for signs of a brain injury. After Bustillos’ testimony ended, the state rested its case and the trial moved on to closing arguments. The main point of contention between the state and the defense was whether Finnegan intended to cause serious bodily injury to Kruse, which would determine guilt on the most serious charges. Cava, on behalf of the state, insisted that Finnegan recognized Kruse as an officer and knew he was in trouble, giving him the requisite motivation and intent to want to do harm to her. Cava went on to say that Finnegan not only punched Kruse twice, but also strangled her, which she said was proved by signs of bruising on Kruse’s throat that showed up three days later. That was offered as proof of his intent to commit “serious bodily injury” required for either first- or second-degree assault charges. Cava also accused Finnegan of leaving Kruse unconscious and bleeding on the road, showing the “extreme indifference” to her life required to convict for first-degree assault. Cava then summarized briefly the reason why the other charges — such as criminal mischief — applied before ending her appeal to the jury. Jensen, who performed the closing for the defense, attempted a systematic dismantling of the state’s argument that Finnegan’s crime met the elements required for first- and second-degree assault on a peace officer. Jensen said that the injuries Kruse sustained were neither life-threatening nor permanently disfiguring. Kruse was able to go back to full duties within two and a half weeks and does not appear to have any significant damage from her injuries. Jensen also argued to the jury that Finnegan could not intend to cause any serious bodily injury to her, as he was very intoxicated and incoherent and not in his right mind — and therefore intent was not possible. Jensen also said that Brown, as an elected district attorney, was under a lot of pressure from the Breckenridge Police Department to “overcharge” Finnegan and get a conviction. That line of argument drew repeated objections from Brown, who felt it was not within the scope of the evidence and ultimately irrelevant. Jensen also pointed out that the defense had asked for the lesser charges such as criminal mischief to be tacked on in order to give the jurors an opportunity to find guilt for the real crimes Finnegan committed. In his rebuttal, Brown dismissed the voluntary request for lesser charges as a common defense tactic, and said that the jury should not be influenced by it. Brown also noted that their expert from the Colorado Bureau of Investigation found Finnegan’s DNA on Kruse’s holster, which he said was proof that Finnegan had reached for Kruse’s gun after assaulting her. That, Brown said, was more than enough evidence to find that Finnegan’s conduct created the “grave risk of death” required for a first-degree assault verdict. Defending DUI cases since 1979.